Life continues apace, “stuff” happens and usually our bodies try to cope, adapt and compensate for what our mind in particular wants to do… and often without too much complaint! 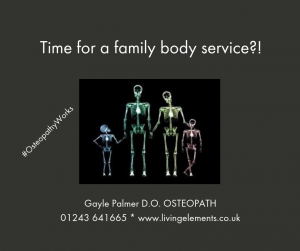 Time for a family body service? In effect you are taxing your body! “MOT” treatments or checkups are designed to help your body unravel and re-balance. They are recommended approximately every 6 months for most people, and certainly annually. 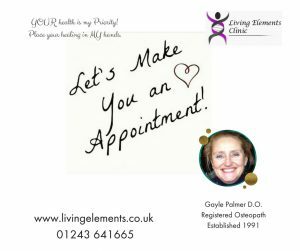 It is a half hour consultation and treatment with Gayle Palmer D.O. Let’s make you an appointment! 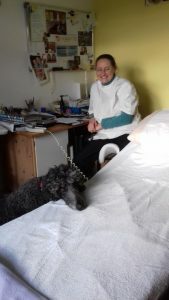 and put together a tailor-made treatment and advice especially FOR YOU! 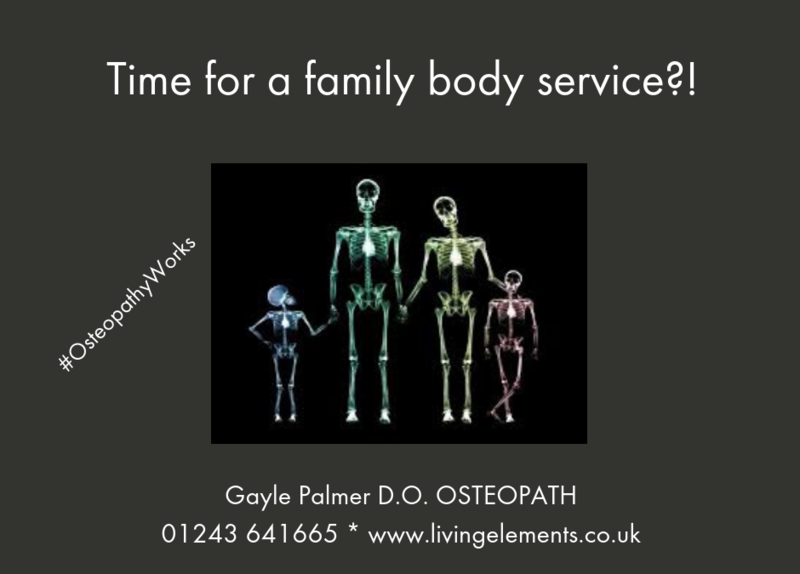 Postural aids, food supplements, postural advice, dietary changes may be suggested and these are charged separately.